When it comes to watching a video, you will always prefer to watch it on YouTube or other popular streaming websites. And why not? They provide great viewing experience. What if you want to create a website that lets viewers watch videos as well? Well, you can use WordPress. Not only that, businesses are now more inclined towards created video content and listing them on their website. In that case, you need a WordPress video player plugin that simplifies the whole process of managing videos on your website. Also, you get amazing video players that look aesthetically amazing on your website. WordPress Video player plugins offer a lot more than the native player that comes with WordPress. For any website that is serious about how they represent their content to their audience, they need to ensure everything is top-notch, including the video player. Before you dive deep into the WordPress video player plugin, it is important for you to try out the default video player. To do so, just load one video into the media player, and insert it in the post. It is simple and subtle which allows you to control few things such as initial image size, autoplay, size control, etc. So, now that you understand what we are onto let’s start with the best WordPress Video Player plugins. WP Video Lightbox WordPress plugin allows users to embed videos directly onto any page using a lightbox overlay display. The plugin can be handy in case you are hoping to display images, flash, YouTube, or Vimeo videos on your website. Furthermore, the plugin is completely responsive, so mobile users will also be able to enjoy its functionalities without much problem. Embedding the Vimeo and YouTube video is super simple and can be easily handled with the use of Shortcodes. The plugin can help you by automatically fetching the thumbnail for the Video you are using, but you also have the option to use your thumbnails if you want. The plugin also gives you the option to disable suggested video at the end of a YouTube video, so your audience doesn’t become distracted. ARVE Advanced Responsive Video Embedder is one of the most popular and powerful video embedding plugin for WordPress that you can get for free. The plugin is filled with a lot of useful features to tackle every single problem you are likely to face by showing videos on your website. First and foremost, as the name implies, the plugin helps to make all the videos you embed into responsive videos so that your mobile users can enjoy them without any issue. Other options include WYSIWYG support, autostart videos, tweaking URL parameters if you want, changing video alignment, and much more. The name says it all. Video Embed & Thumbnail Generator is a WordPress plugin that is designed to help you with embedding videos on your site and generating thumbnails for those videos. Now one of the key features of the plugin that it comes with multiple numbers of media players including Video.js, MediaElement.js, JW Player 6, and Adobe Strobe Media Playback Flash player. Also, despite which video player you choose to use, they are all responsive and mobile-friendly, so that is always a plus. Other features you get with the video player plugin includes the option to create a popup video gallery, site to tweak around with the video width and height to suit your site’s layout, the option to enable your videos to be played directly in the Facebook timeline or twitter, and much more. You will also have the option to add subtitles and captions. Next up we have “Ultimate Video Player” a premium video player plugin for WordPress websites. The plugin, once installed, will allow you to play local video or even stream them from other servers e.g. YouTube or Vimeo. However, it is worth noting that the plugin is only able to play local video that has an MP4 format. But the main reason for the premium pricing would be its availability of a boatload of features and functionalities. For starts, you will get a responsive player, and users will be able to change the video quality, select subtitles, and control the play speed for their convenience. The plugin also allows you to password protect specific videos, insert advertisements into the videos, offer multiple skins for customization, and so on. Spider Video Player is another easy to use video player plugin for WordPress which allows users to insert videos into their blogs, posts, and pages very quickly. The plugin supports HTML5 and Flash player to play the videos, which means users from both new and old browsers will have no problem enjoying your content. The plugin can help you embed YouTube and Vimeo videos onto your websites, but there is also support for HTTP video URLs along with RTMP URLs. The plugin also supports individual thumbnails which get displayed in the video player window. Apart from this, you get the option to play around the with the height and width of the video player, video watermarks, and so on. You can also allow users to see the videos in full-screen mode. If customization and responsiveness are the biggest priorities for a video player on your website, then Video Gallery WordPress Plugin will provide excellent help. This WordPress video player plugin helps you to add a video gallery to your website which is responsive and touch-enabled to deliver the optimal experience for mobile users. And for customization purpose, you will get hands of five different skins including a custom skin generator. The plugin will also give you the options for setting up original videos, a gallery of hand-picked video, site gallery of videos based on video types and much more. There are also options for streaming videos from multiple sources including self-hosted videos. Social Media integration is implemented with deep linking to maximize your exposure. YouTube Plugin is an appropriately named WordPress plugin which helps you to showcase YouTube videos on your website. 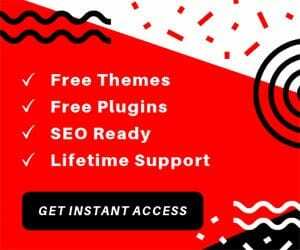 If you solely want to focus on showcasing YouTube videos on your website, then this plugin is most probably the best in the market. It is loaded with awesome features which not only helps you to display YouTube videos on your website, but also gives you great control over it. On the customization front, this video player WP plugin comes packed with over a hundred adjustable parameter, color schemes, 3 different header layouts for the player, and much more. You also get the option to sort your playlist using the flexible video order option, a pagination option to browse the videos, and a convenient search option to, all the videos. And on top of all these, there is also AdSense integration with the plugin which allows you to showcase advertising blocks in the video gallery under the videos or as popups. Our first free WordPress video player plugin is the MediaElement.js. It is a free-to-use plugin. It supports the basic HTML5 video, but also have fall-back support for non-HTML browsers. It switches to either Silverlight or Flash for providing video playback. Other key features of the video player include full-size screen mode, the audio function, volume control, autoplay and much more. You can also let users preload the video if they want too. One more functionality that caught our attention is the ability to add caption file URL. This WordPress video player plugin also comes with a lot of shortcodes. The shortcodes control almost every aspect of the video including audio URL, video source, width, height, and other video player option. It even provides a simple way to bypass conflicts if possible. FV Flowplayer WordPress video player is an HTML5 video player for your website. It also comes with the fallback for legacy browsers which doesn’t support HTML. With over 30,000+ active installs, FV Flowplayer is a popular plugin. FV Flowplayer is full of features. It starts with the ability to position videos from certain users. That means you can position the video if it is for guest or a member. It also supports playlist. The plugin is completely responsive and will run on any device, making it an ideal choice for modern websites. The player lets you play all the major video formats including MP4 and others. Other key features include support for native fullscreen, Google Analytics, slow motion and much more. The players will give the power in your hands and will let you create a brand out of your content. Also, there is a PRO version that you can try out. The PRO version offers more features and customizability. Spider Video Player for WordPress enables you to take control of the video playback on your website. As usual, it comes with the support of the popular HTML5 format. It also has the fallback support for Flash if the browser does not support HTML5. From the start, you can see that it lets you organize your video content the way you want. It gives you playlists and an interface where the users will love to watch the content. Moreover, it comes with full-screen support. To make your video go viral, it also supports the social sharing capabilities. 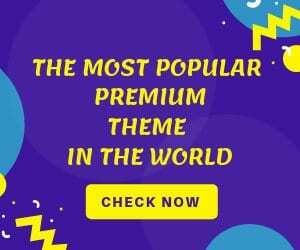 If you know how to edit themes or code, then you are in for a treat as the plugin offer customizability at the core level. Overall, a great video player plugin that supports HD videos offer great customizability and looks great. It also comes with a PRO version. If you are looking for a simple alternative, then Easy WordPress Video Player is for you. The plugin offers a user-friendly way to handle videos on your website. To use the plugin, you need a self-hosted WordPress website. As per the features, it supports MP4 and other popular video formats. The plugin is also responsive which mean that you don’t have to worry about embedding different video sizes. Shortcodes are also provided for easy use within any theme. Just like other video players, it comes autoplay, different skins, and more! Did you ever wish that there might be a tool that can help you embed Youtube videos to your website easily? If that’s the case, then YouTube EmbedPlus WordPress video plugin is for you. As you might have guessed from the name, the plugin lets you embed video from YouTube. Not only that it gives you a ton of option to customize the playlist, provide continuous autoplay, embed live stream and much more! This WordPress Video player plugin has over 200,000+ installations which speak volumes about its usability. Not everyone wants to customize and maintain their video player, and this is where YouTube EmbedPlus comes into play. This plugin is the ultimate plugin for managing YouTube videos. When it comes to paid video player plugin for WordPress, the plugin that we will recommend is the Elite Video Player. It is a completely responsive, video player plugin that is customizable to the core. It supports all the popular external video platforms such as Vimeo, YouTube, Google drive videos and so on. You can also embed pre-roll advertisement on your videos. Playlists are supported and are customizable. Other key features include support for YouTube live streaming and 360 VR. If you have a big collection of videos and want to serve the content through the cloud, you can do it using Elite video player as it supports cloud platforms such as Amazon S3 or Google drive. 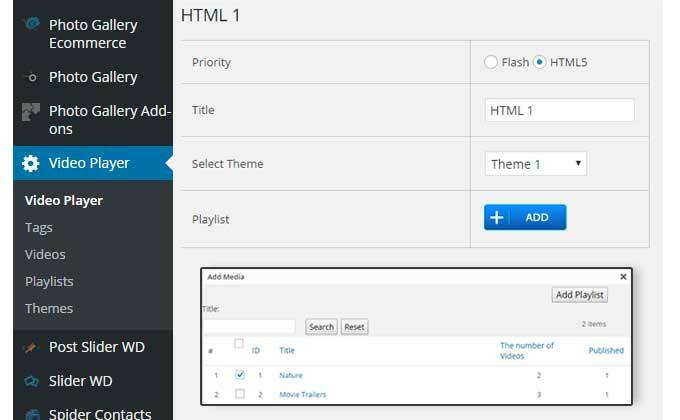 HTML5 WordPress Video Player plugin is a paid plugin that supports HTML5 out of the box. By buying the plugin, you will get three option to choose your player from. They are the bottom playlist, right-side playlist, and simple versions. Not only that, it comes with five custom skins. All the custom skins are top-notch and provide a great visual experience for the user. With fullscreen support, the visitors can enjoy the videos in full screen. The plugin also auto hides the controllers when there is no mouse movement. Other key features include support for multiple parameters customizability, volume control, playlist image and much more! Stellar Video player is a relatively new WP video player plugin in the market. It is dubbed as the “most creative video player” plugin. In terms of the features, it comes with all the features that you should expect from a paid video player plugin for WordPress. You can use the plugin to host videos directly from localhost, Google Drive or Amazon S3. The plugin is also customizable and supports Youtube Playlist. Other key features include support for live streaming, local videos, RTL support and much more! 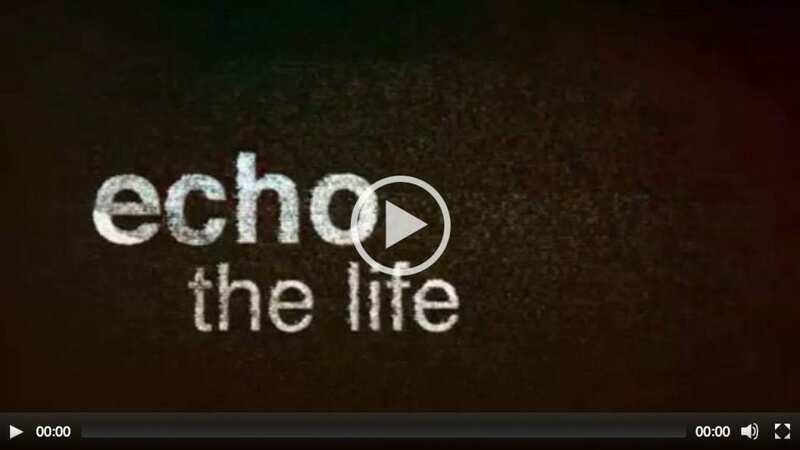 The plugin is very similar to “Elite Video Player” and is also priced similarly at $36. Chameleon is a powerful WordPress video plugin that let you use the powers of HTML5 and its video playback capabilities. It comes with easy to use shortcode generator and a panel from where you can control everything. You can choose from two simple skins: dark and light. Of course, you can make customize it if you can customize it through code. But, it is not recommended at all. You can set the size of the video player including the width and the height of the plugin. Other key features include social sharing capability. Any Other WordPress Video Player Plugin? This leads to the end of our WordPress Video Player Plugins list. We covered both free and paid plugin. All the plugins that are listed solve the video playback problems that basic WordPress has. The choice, of course, depends on your needs and budget. So, feel free to choose the one that fits your bill. Also, don’t forget to let us know which one you choose!